Quinns: Goooood mooorning board gamers! How was your weekend? 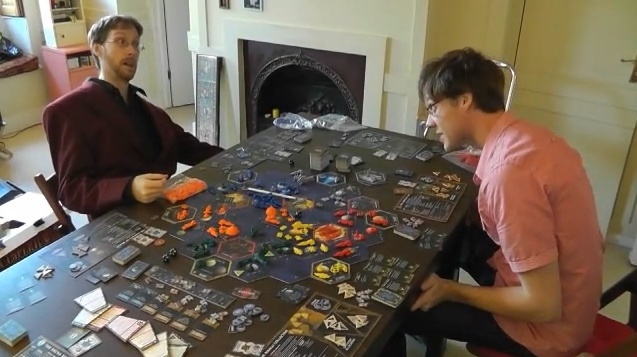 We did some filming, during which an exasperated Paul told his team-mate “It’s only a game.” It’s ONLY A GAME! As if. What a scandal. News, though! 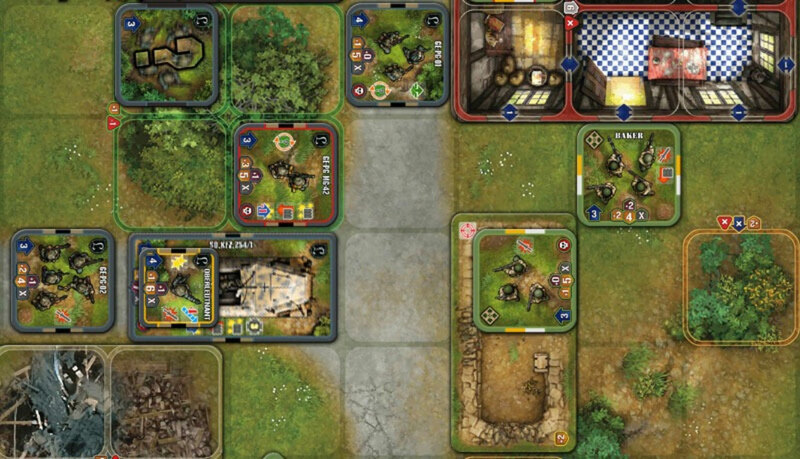 Up above you’ll see Heroes of Normandie an absolutely gorgeous-looking tactics game that’s got just 5 days left on the Kickstarter, with 270% of its desired funding. Want to drive a cardboard tank through a bush? This could be your boy. And there’s more of a grounding that’ll it’ll be a good game than most Kickstartlets, since it’s based on the company’s 2007 release of Frontiers, which The Dice Tower called pretty fun. But that’s not the most exciting news this week. Oh, no. A new expansion for Battlestar Galactica’s been announced, AND a new game in the world of The Resistance. Oh, baby! But before that, how do you feel about dragons? I like them. I think as fictional animals go they’re way better than unicorns, and almost as good as Australians. Dragon Clash is another Kickstarter with an even more dramatic 3 days left. It’s a card game of battling dragons with one super cute feature, which is that the game starts with you crawling out of the egg, and you proceed to grow older across a battle than apparently lasts your entire lives. Tough gig. 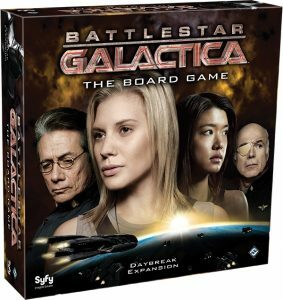 Battlestar Galactica, the overwhelmingly popular (and excellent!) 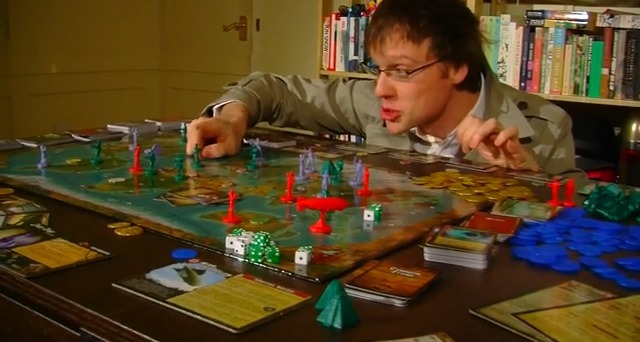 board game of the TV series, is a contest of mistrust and panic where 3-6 players try and pilot a ship through innumerable troubles, with the possibility (and later certainty) that some of them are hateful robot spies. Mostly, it’s a game of locking players in the brig because they were drinking their tea in a suspect manner. Screw you, Paul. And boy, do Fantasy Flight enjoy expanding it. 2009’s Pegasus expansion added a second ship and a wealth of new happenings, including a gloomy alternate endgame where humanity is enslaved on a prison colony. 2010’s Exodus expansion added three new modules, the Cylon Fleet, the Ionian Nebula and Conflicted Loyalties, leaving the original game with the density of a black hole. Thing is, none of these expansions are must-buys, and it doesn’t sound like Daybreak will change that. Any BSG fans in the audience care to disagree? I’d love to hear your thoughts. But we’re not finished! Apparently. Help. 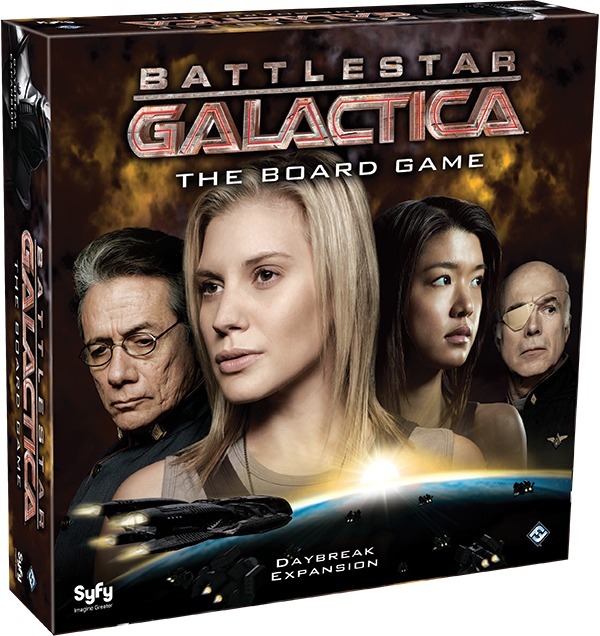 Battlestar Galactica: Daybreak, pictured above and releasing this autumn, will chart the end of the television series. A new endgame. A new ship for you to fanny around on- the Demetrius, a sewage processing ship. New characters, skill cards, crises, and, apparently, the option to negotiate with the cylon leaders themselves. 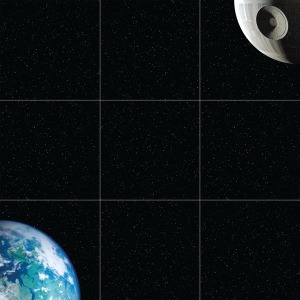 If you felt like getting pumped about a similarly ridiculous expansion this Autumn, Fantasy Flight has also announced a set of double-sided space tiles to play the excellent X-Wing Miniatures Game on. Yes. If you ever felt like buying a set of mostly blank tiles, now’s your chance. The really annoying part is that it’s actually a powerfully thematic addition to a game that’s powered by its theme (tiny TIE fighters! stressed pilots! ), meaning it’ll probably be picked up by many, many people. Fantasy Flight are absolutely evil geniuses at times. Oh, but I mentioned another awesome announcement? I’ve been playing Love Letter recently, a teeny card game of excellently tricky bluffing, and EVERYONE in the comments has been saying Coup is better. Which is great to know, but Coup’s availability is miserable, and we’re not too interested on recommending you all approach your local game shop to ask difficult questions, as if you were buying drugs. 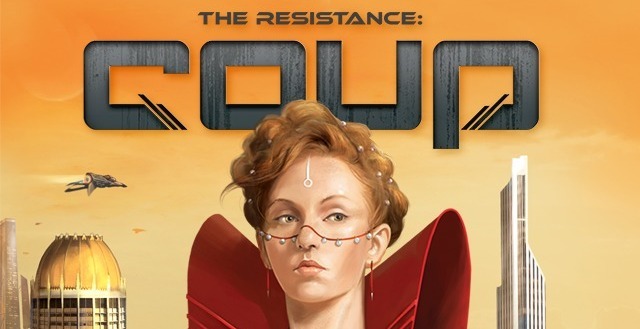 As of this week The Coup is now on Kickstarter, backed by Indie Boards and Cards and set in the world of The Resistance. Hell yes. It’s already shattered it’s backing goal, AND for a little extra cash they’ll throw in either The Resistance or Avalon. That’s an incredible deal. Get involved! Go, go, go! Aha! Now. 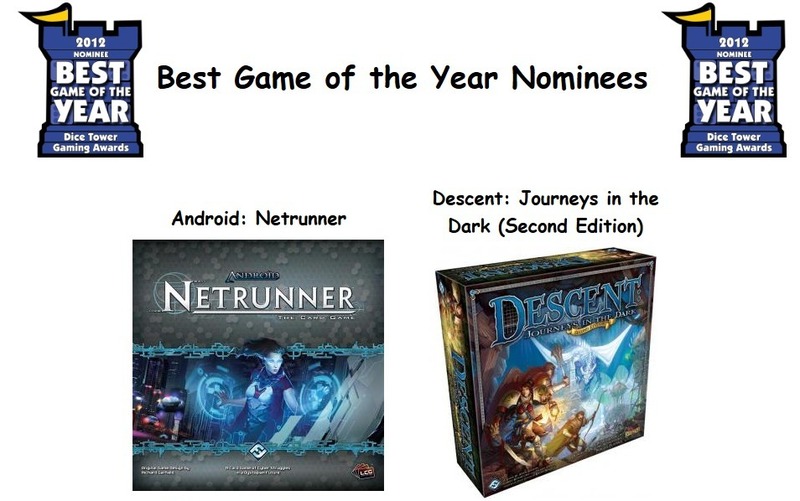 The superb, exhaustive Dice Tower board gaming site has announced its 2012 award nominees, which is my own personal most important list of the year. Go take a look and see what slipped you by last year. These are amazing games, all. Aaand we’re back to Kickstarter news, but of a different stripe. 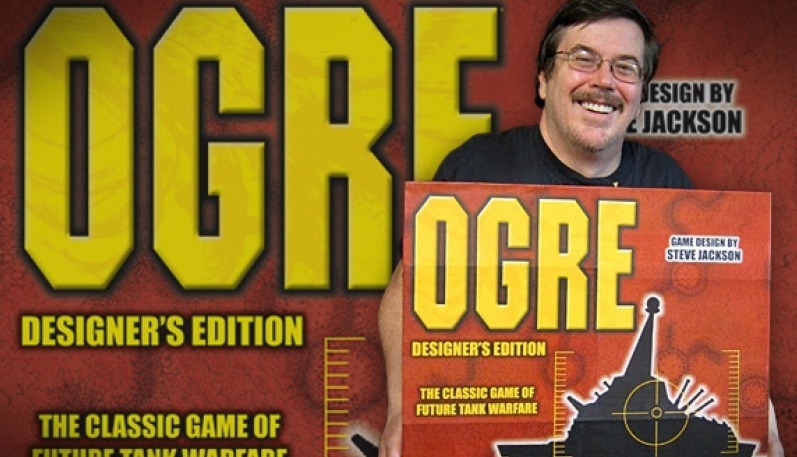 Have you heard of Ogre? It’s a sci-fi wargame where one player controls a wealth of infantry, tanks and hovercraft, that most futuristic of all modes of transport, and another player controls an OGRE. A horrific, laser-belching megatank of impossible scale. 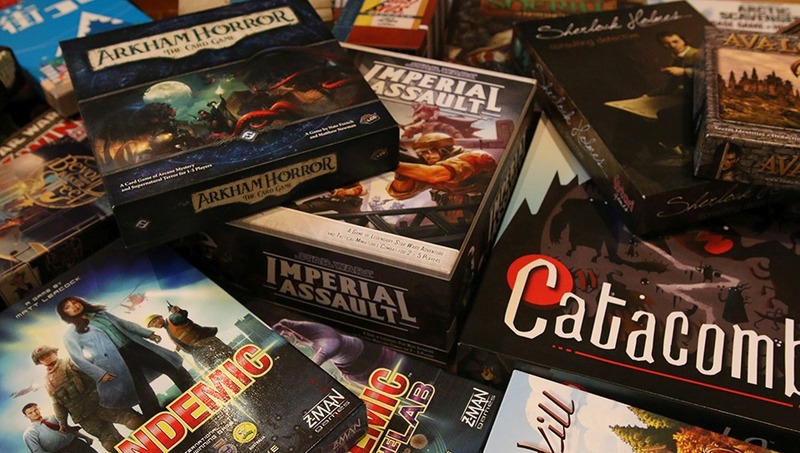 Last year Steve Jackson Games asked for $40k to do a super-version featuring forty square feet of chipboard, and overshot his funding by almost a million dollars. What I want to point you to is this small article published by the Penny Arcade Report summing up Steve Jackson’s subsequent logistical difficulties, and the Kickstarter updates themselves, with their more detailed breakdown of shipping this beast. It’s like watching some ancient Greek god of games giving birth in slow motion. AND FINALLY, Flying Frog has announced the first expansion for Fortune & Glory, a game of adventuring around the world, burglarising temples, stowing away on zepplins and all things pulp. 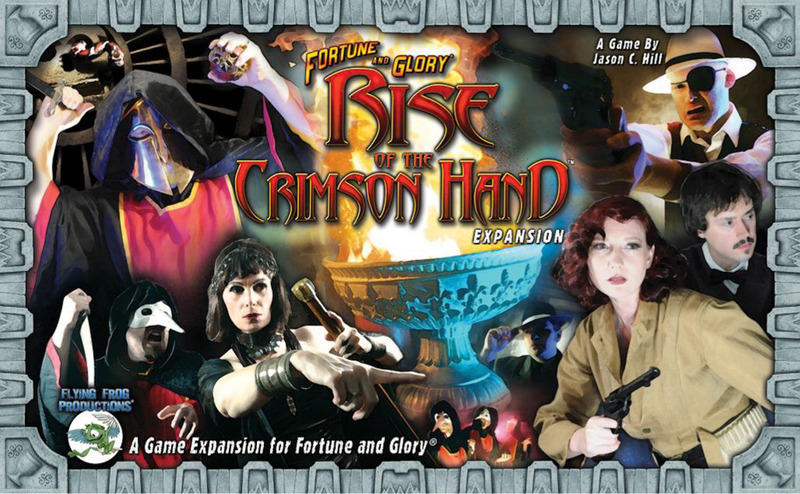 It’s called Fortune & Glory: Order of the Crimson Hand. Paul and I reviewed Fortune & Glory last year, and found the most remarkable thing about it was it coaxed Paul into wearing a dress for the episode, but if anything was going to turn us around it’d be yet more Stuff. More adventures, miniatures, villains, until we can feel that every single game is a unique and beautiful pulpy flower. And that’s exactly what’s coming, as well as “epic city events” unique to each major city on the board. EXCITEMENT. Especially so because yet another expansion, Fortune & Glory: Treasure Hunters, will be arriving later in the year. God, he looked good that day. Wonder if we still have those clothes.